Children are the world’s most valuable resource and its best hope for the future. They are the best gift of god, precious pearls of the society and building blocks of the strong nation. They are the center of everything for parent and their all activities revolves around their kids. Their smiles, laughter, cuteness, frankness, innocence and uniqueness need a safe, secure, caring and firm touch to nurture and grow. The biggest worry that today’s both working parent have is to leave their children in skilled, trusted and caring hands in their absence. At Daisy Montessori we provide a safe, secured and transparent environment, parents will find confidence to leave their little one while they are in their work places. This is the best preschool & daycare you can provide to your children near Manyata Tech Park. We are well known for our standards and methodologies for early childhood education and care. Our programs are designed in such a way which encourage children to develop their motor skills, social skills, emotional skills and cognitive skills. Enroll your child to Daisy Montessori Preschool and Daycare in Thanisandra to ensure all round development. We offer FULL DAYCARE and Extended Daycare for children age range 9 months to 10 years. At Daisy Montessori we provide a safe, nurturing and developmentally appropriate program for each child which fosters active learning, support for the whole child, and a child friendly environment. We provide Montessori class rooms and trained teachers to facilitate each child for his/her experiential learning which led to a deeper understanding of language, mathematics, science, music, social interactions and much more. Montessori classrooms at every level nurture each child’s individual strengths and interests. Strong foundation in the early preschool learning years of child is the stepping stone for their future success. 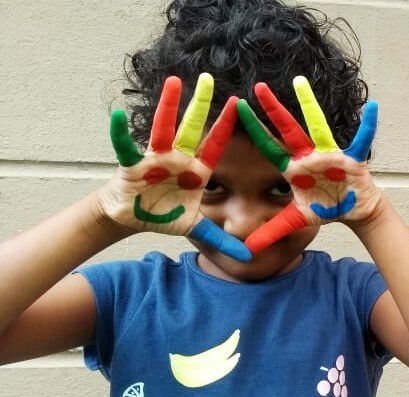 Our preschool in Bangalore make the learning process fun for your little ones. At Daisy, our goal is to provide quality education for every child in a safe & caring environment, inspiring every child to reach their true potential and to encourage your child to be an independent member and to act as responsible participants in a global society. Our classrooms at every level nurture each child’s individual strengths and interests. 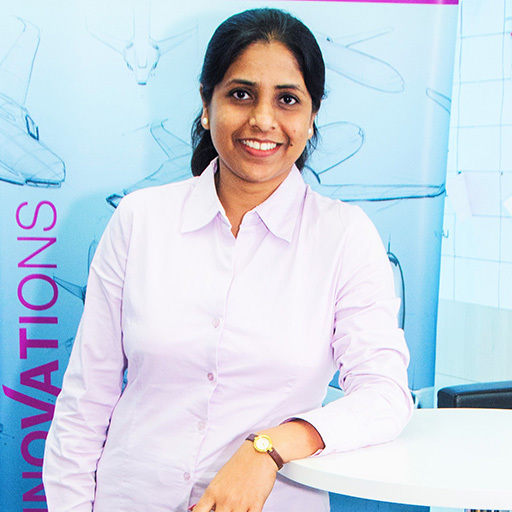 Dr. Mita Sarkar has worked in diverse fields of engineering & scientific research, and now education. Her interests include reading on education, brain development, child psychology and child development. She is an engineering doctorate from University of Arkansas, Fayetteville, USA and an alumni of Indian Institute of Technology (IIT) Delhi. She is the founder and director of Daisy Montessori School. She desires to spend more time with Daisy children and connect children and teachers with strong school practices meeting the needs of Today’s child and parents. Last but not the least she is an energetic mom of two young kids. We believe the quality and nature of a child’s early experiences in life lay the foundation for all the learning and behavior that follows. We truly believe that Early Childhood Care and Education is much more than preparation for primary school; it is the foundation to build one’s character, personality, and fundamental to lifelong learning and well-being. And at Daisy, we cherish our role to deliver a comprehensive child development program. We always provide joyful, holistic, child-centric and developmentally appropriate learning experiences at this critical stage of a child’s life. Our approach is based upon three pillars: quality education & care, creating a match between the child’s natural interests & available activities and partnership with parents and the community. We see children as individuals with full of potential which helps us in structuring our programs. Our curriculum is designed by a team who are expert in early childhood development and education is intended to enable children to flourish academically, personally, socially and emotionally. Our teachers are facilitators who work in partnership with the children to develop explorations and extend thinking through careful observation, documentation, thoughtful questions and deep reflections. They have been trained to ensure that children receive the best global early childhood education and development exposure. We value the contribution and involvement of all our stakeholders. Parents and the community play an important part in the learning process and we work in collaboration with them to best achieve the optimal development of a child. We started Daisy with a vision of providing a strong education base that would create creative thinkers, responsible global citizens and life-long learners. We can proudly say that we have continued to provide our children with a nurturing environment that promotes physical, behavioral, emotional, and educational health.